Em and I went Christmas clothes shopping last week. 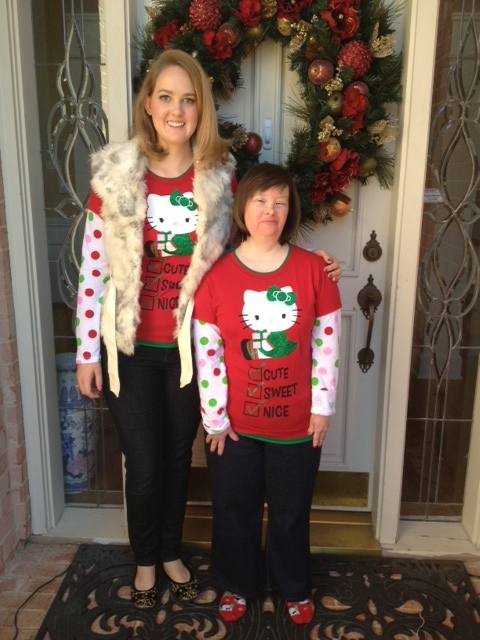 The next day, we both wore the same Hello Kitty Christmas shirt and didn't even plan it! Em accessorized her's with festive socks. I opted for a faux fur vest.